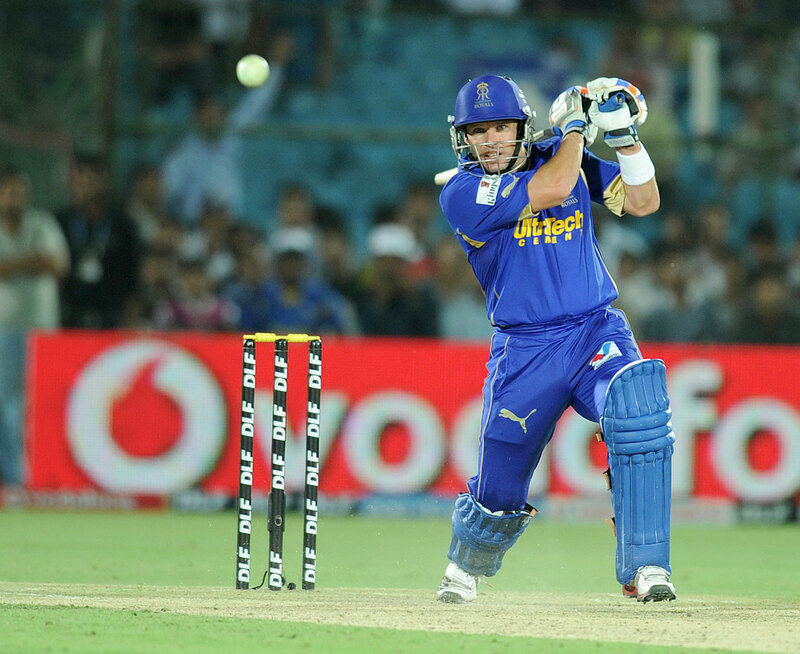 In 2012, Rajasthan Royals signed Brad Hodge, one of a generation of high-quality Australian cricketers who spent years on the fringes of an all-time great side. Given Hodge's pioneering T20 efforts, above and beyond his first-class and Test experience, this was a major signing by IPL standards. Conventional wisdom held that Hodge should bat early in the innings. But Royals used Hodge deep in the order, preferring lesser local players at Nos. 3, 4 and 5. Observers were perplexed. ESPNcricinfo's S Rajesh wrote that their decision defied logic because Hodge had better overall numbers than those who batted ahead of him. Zubin Bharucha, Royals' director of cricket, explained the rationale behind Hodge batting at No. 6 or even 7 in an email interview. He said Royals had "nobody better to play the role against the fast bowlers, and with those last four-five overs deciding the course of a majority of games, wouldn't you want the player having the best stats against fast bowling to take on the responsibility for that phase?" According to Bharucha, they found that Hodge had done brilliantly against pace (a strike rate of 157) but relatively poorly against spin (strike rate 115). Why use him at No. 3 when he would almost certainly have to face the full spells of the opposition's specialist spinners? Even if a spinner was bowling late in the innings, Rahul Dravid, then Royals' captain, told me in a Skype interview, the instructions to Hodge were to avoid taking chances, play the over out if need be, and save himself to attack the faster bowlers. Hodge's batting position was incidental. The point was to use him against fast bowling at the end of the innings. Data showed that this would be a better use of Hodge than the more conventional approach. This strategy seemed to work during Hodge's second season with Royals. He remained unbeaten seven times in 14 innings and scored 293 runs in 218 balls. Interestingly Hodge played for two other T20 sides between 2012 and 2014 - Melbourne Stars and Barisal Burners. Both used him in one of the top three spots and he did just as well in terms of strike rate and batting average. However, the success of Royals' experiment lay not just in Hodge's numbers but in the success of other players and of the team as a whole. Royals was not the first side to make such a tactical choice. Don Bradman famously reversed his batting order on a drying pitch in Melbourne in the 1936-37 Ashes. Sunil Gavaskar has written in One Day Wonders about holding back Kapil Dev while Lance Cairns was bowling in the semi-final of the 1985 World Championship of Cricket. Gavaskar felt Kapil was better off taking on the pace of Richard Hadlee rather than the deceptively tempting mediums of Cairns. Kapil made 54 in 37 balls and saw India home. There have also been more systematic tactical choices. During the 1995-96 Australian domestic season, John Buchanan, then the Queensland coach, used Jimmy Maher and Martin Love to take on fast bowlers in the last ten overs. As Buchanan explained in an email interview, "I wanted skilled batsmen who could also run well between wickets to take advantage of this period. It did mean we might sacrifice some scoring possibilities earlier, but I backed our top order as well as the fact that we chose some batting allrounders who could bat higher." More famously Ajit Wadekar and Mohammad Azharuddin used Sachin Tendulkar to open the innings in ODIs in 1994, a move that lasted 18 years, multiple captaincies and brought India 15,310 runs and two World Cup finals. Arguably, it also paved the way for two other middle-order batsmen, Sourav Ganguly and Virender Sehwag, to open in ODIs. Note the difference between Bharucha's explanation for the Hodge tactic and the other examples. Buchanan's explanation was based on an understanding that a specialist batsman's methods are useful against faster bowlers. Gavaskar's educated guess was down to his reading of Kapil's approach. Bradman surmised that the surer methods of specialist batsmen would yield greater results on a drier pitch. The "data", such as it was, that Wadekar and Azharuddin had to go on, had to do with Tendulkar's ability to attack the bowling, and Tendulkar's enthusiasm for the job. Bharucha had nothing to say about Hodge's technique or approach. His reasoning was based entirely on a new kind of measurement - the measurement of outcomes, based on events that had been recorded. It would be a mistake to think that tactical choices were not based on data before the IPL or before Buchanan became Australia's coach. Data was used. It was data about technique and approach, not outcomes. It may not have been tabulated into percentages or frequency distributions or probabilities, but technique has always been based on propensities. The history of the game is littered with stories of eagle-eyed slip fielders who could see a batsman and work out his weaknesses - which good bowlers could then exploit. The use of logical inference based on observed fact to improve performance and make tactical choices is as old as the game itself. What is new is the type of data being collected. "Moneyball", the data revolution in baseball, is about getting better value for money. As Jonah Hill's character in the movie about Oakland Athletics explains, teams have to think in terms of buying runs and outs, not players. The argument in Moneyball is an argument between two types of data: data from scouts, who observe players and reach judgements about their potential, and data about outcomes - runs, outs, walks, strikeouts and the like. In baseball, the basic use of data about outcomes is to identify inefficiencies in the way players are valued. The returns on this approach should logically diminish with time; an inefficiency is only an inefficiency until other teams also see it as one. For example, if Mumbai Indians decided to use their deeper pockets to ensure the most favourable match-ups for as many of the 20 overs as possible, Royals would no longer have a competitive advantage. If Mumbai Indians looked at the same data as Royals, and made sure that a spinner was held back until Hodge came in to bat, they would be able to somewhat negate Hodge's effectiveness. Before long the quest to eliminate inefficiencies will merely keep teams from falling behind, instead of giving them a competitive advantage. This could play a big role in the kind of players that teams will select. Royals provide a glimpse into the future. Their decision to open the batting with Dravid (and later with Ajinkya Rahane) was the result of a combination of insights. The data showed that being 45 for 1 after six overs was better than being 60 for 3 at the same stage, and so Royals, according to Bharucha, "wanted someone who could hit good cricketing shots along the ground and pierce the gaps". Between 2011 and 2013, Dravid was an above-average IPL opener, scoring quickly and surely. After the Powerplay his scoring rate often dropped and his efforts to score at pace led to his dismissal far too regularly. Both Dravid and Bharucha told me that the idea of Dravid throwing caution to the wind after the sixth over, instead of trying to anchor the innings, was considered. The data suggested that it was more advantageous for Dravid to get out trying to score quickly than to develop his innings in the conventional sense after the Powerplay. In other words, it was better for Dravid to be replaced by a player who is, say, exceptionally good at hitting legspin, but not so good at other aspects of batting, or eventually by Hodge, the late-overs specialist hitter of pace. It is possible to imagine a future where players develop their game in such hyper-specialised directions. The IPL already rewards players who are exceptionally skilled at hitting medium pace over the infield - though their game has not developed in other directions. Teams may soon try to ensure that these hyper-specialists are not used in situations that require other talents. Platooning - the idea of using specific players against specific opponents - is a time-honoured practice in baseball. Many baseballers focus on enhancing specific skills for specific situations - like left-hand relief pitchers going up against left-hand batters late in the innings. This trend could create new opportunities in cricket. A journeyman Ranji Trophy middle-order batsman, who will never challenge Rahane for a slot in India's Test team, could work on one aspect of his attacking play to the exclusion of all others and become useful for his franchise as a hyper-specialist. The logical conclusion of Hodge's story would be for Royals to leave him out of the XI against a team playing no fast bowlers, even if he was in fantastic form. Instead they might select a local batsman who is extremely skilled at hitting spinners. The data might eventually show that a $35,000 local player is better than a $350,000 international in a big final. Developing such hyper-specialists runs counter to generations of coaching wisdom. This tension came through in my interview with Bharucha, who was keenly aware of the different emphases involved in training a Test player and training an IPL specialist. Royals say that their ambition is to produce cricketers for India. But they need to balance the necessity of training specialists - to make the most of their limited resources - against producing well-rounded Test cricketers. Bharucha, a former first-class batsman who learnt his cricket under old-school coaches in Mumbai, points to the development and ambitions of Rahane, Sanju Samson, Stuart Binny and Karun Nair (who hit a triple-hundred in the 2015 Ranji final) as all-format players. "The way we teach and instruct," Bharucha wrote, "will always be to tighten technique and play quality cricket shots, even though it is T20 we are talking about. I feel coaching has always got to be something far deeper and must include the overarching goal of improving the quality of cricket played around the world." Bharucha is aware of the contradiction. On the one hand Royals take a radical approach to batting. As he explained with regard to Hodge, "There are no batting numbers at Royals, only an over in which a batsman could potentially go in." On the other hand, Bharucha also said, "At Royals one always weighs all of this up against the promotion of Indian talent, as year on year we look to shape the life and career of someone who could be a valuable contributor to the country. It's never just a shallow decision of who should bat where." Winning in the IPL may well require cold-blooded platooning and the pursuit of hyper-specialists. But it would be a mistake to ignore the way longer currents of history shape the work of coaches and tacticians, whatever the data might say. A combination of technology and vast sums of money on offer has played a big part in creating the basis for a data-centred approach to tactics and specialisation. Some, like Bharucha and Buchanan, see data in match play and coaching as a boon. Buchanan visualises the role of the cricket coach evolving into one of a tactician and match-manager. But like all change, progress has been interrupted by older conventions and attitudes. Compared to Bharucha, Buchanan met with less success in implementing his ideas at Kolkata Knight Riders. His attempt to rope in a fielding coach with a baseball background (John Deeble) wasn't as successful as his path-breaking use of Mike Young with the Australian side. 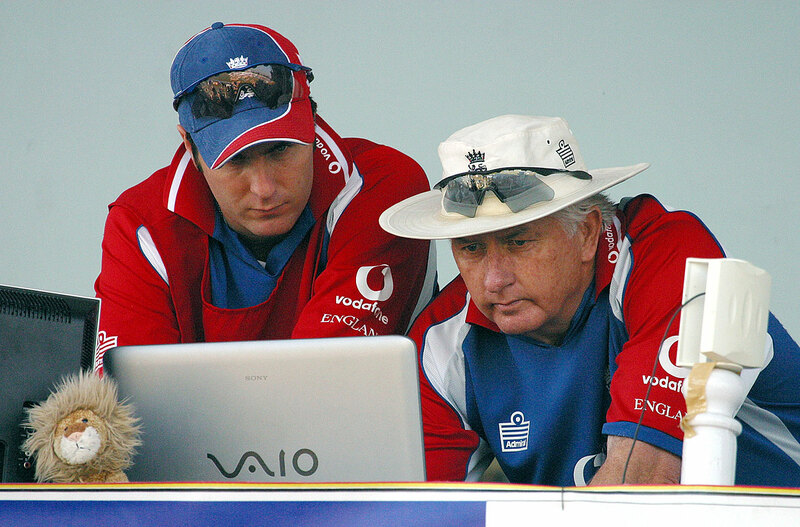 During his two-year stint as director of cricket in New Zealand, Buchanan says, a couple of economists used a huge data set to produce an "in-game analysis which gave information to the coach and team what tactics should be employed on the next delivery or next few deliveries to control the game, and thereby influence the probability of winning". The idea never took off and was resisted by coaches and players. Buchanan makes the point about how a data-based approach to on-field strategy requires players to be accountable for each of their decisions. If the coaches don't know exactly what a bowler is trying to do with a given delivery, it is impossible for them to know whether the bowler's plan was successful (irrespective of the outcome). "If we [the team and coaching staff] know what the set play looks like, then we are all tuned to how well that is executed." Buchanan says players are resistant to this kind of accountability, and perhaps also to giving up autonomy. The central question teams need to tackle is whether or not a coach has a legitimate role as a tactician when a game is in progress. The architecture of cricket grounds sets up many constraints. During T20 games players sit in dugouts - an innovation borrowed from American sport and football. However, in baseball and football, the dugout serves a specific purpose: the coach or manager runs the game from there. 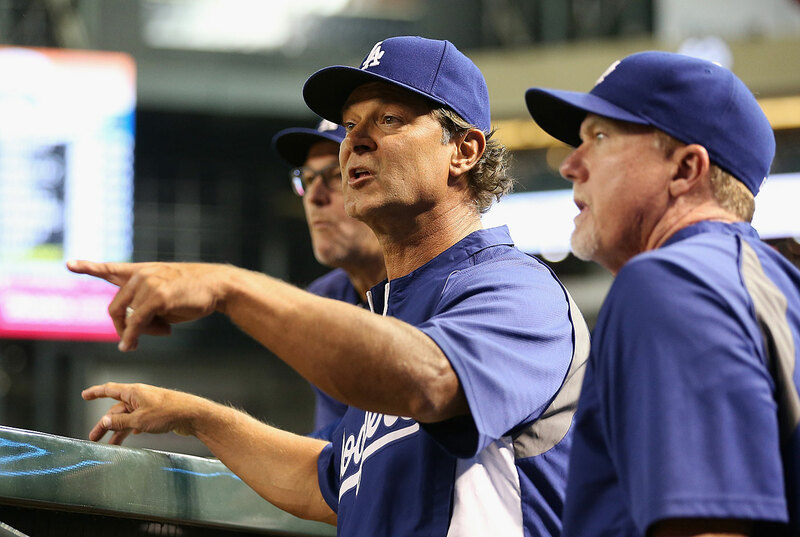 Not only does Don Mattingly, the coach of the Los Angeles Dodgers baseball team, instruct his players before nearly every pitch, he also has an elaborate system of signs that is constantly updated so that it remains secret. In cricket, the relationship between those off the field and the active players has traditionally been distant. When Bob Woolmer tried to get Hansie Cronje to wear a earpiece he was not merely ahead of his time, he was trying to subvert the architecture of the sport. Cricket has traditionally had a different approach to accountability compared to baseball or football. This is no surprise. Baseball and football have been played for profit for far longer than cricket has, and consequently are mature big-money sports. It is unlikely that baseballers and footballers - often young men with little professional experience - are going to be left to their own devices when so much money is at stake. Every play has to be managed and every effort has to be made to get the most out of every play, or at least, teams need to be seen to be getting the most out of every play. Cricket may eventually get there but it will need both a change in attitudes, and there will need to be a means for coaches to get involved in each on-field decision. The effectiveness of the use of cricket data is limited by how often new information can be conveyed to players and also by how often players can be substituted during a game. In baseball only nine players are in the game at any time, but each team's bench holds a further 16, of whom about 12 are usually available for use. The use of match data in cricket is still in its infancy. Here is an example of software used by Cricket Australia (CA). It is developed by a company called Fair Play, and many cricket teams (franchise and international) use this system. Currently data is entered manually, in real time. The time available to make a record of each delivery is limited to the time it takes for the bowler to deliver the next one. As CA's Team Performance Information Manager Brian McFadyen observed in an email, it is much harder to capture data when spinners are bowling than when fast bowlers are bowling. A total of 166,006 balls were delivered in men's international cricket alone in 2014. Collecting data for 60 or 70 variables for each delivery would take about 5500 hours, assuming that it takes, on average, two seconds to record each variable. As you can imagine, this is an expensive and labour-intensive proposition. Cricket might go the way of Major League Baseball's Statcast, a tracking technology used by many baseball franchises and now also available on broadcast. According to the MLB website, Statcast "collects the data using a series of high-resolution optical cameras along with radar equipment that has been installed in all 30 Major League ballparks. The technology precisely tracks the location and movements of the ball and every player on the field at any given time." The data is mined using algorithms on the raw video data, and hence a large amount of data is captured for every single pitch. It is not only used by franchises for analysis but also in broadcasts to help fans develop a better understanding. The use of data promises to change not only how cricket is played but also how it is watched and analysed. It is possible to foresee new types of television shows presenting data-based insights, and new types of fan engagements, like fantasy leagues, enhanced by the use of data. Perhaps conventional wisdom about risk-taking and probabilities of success will be refined. Today's television broadcast is littered with statistics like WASP, the Batting Index, the Bowling Index and the Pressure Index. What is missing is a critical mass of experts who are competent enough to discuss the merits of these measures and educate fans on how they work. The first decade of franchise-based cricket saw the language and grammar of long-form cricket being adopted wholesale to describe the new game. Spinners, we were told in the early days, were deceiving batsmen the same way they did in Tests. This despite the fact that batsmen were often of a different mindset facing spin in T20s than in the middle of a Test. It is now clear that the 20-over game has little in common with the longer versions, and perhaps the use of data to maximise each player's productivity will provide the impetus for a new language. The larger question is how this will affect the way the game is played. Buchanan's dream of using data and technology to systematically develop ambidextrous players - polymath super-cricketers - may well have to give way to developing thousands of players who loft the ball better than Tendulkar ever could, but can't play the short ball at all. Instead of super-cricketers, big data might produce mini-cricketers run by super-managers. We have already seen how things can go pear-shaped for super-managers. 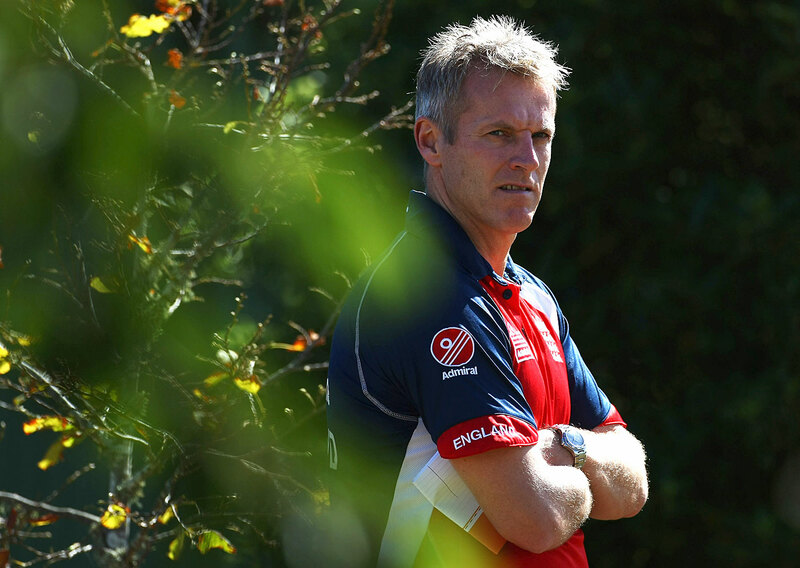 Peter Moores had two stints as England's head coach. Kevin Pietersen, the England captain during Moores' first stint, would later ridicule him for constantly emphasising metrics. In his autobiography Pietersen suggested that the central effect of all the data input was to irritate the players. Moores' second stint ended farcically when an innocent comment, after England were eliminated from the 2015 World Cup, was used as proof of his unhealthy obsession with data. The subtext was obvious: sport is played with heart and brawn, so who does this guy think he is to assume numbers are important? For fans humiliated by a big defeat, this type of chauvinism is too delicious to resist. Data - facts - would just complicate their catharsis. At the same time, data is central to every team's preparation for matches. In an interview to the Cricket Monthly, Ricky Ponting observed that matters have reached a point now where every player has a laptop, and every player has to study before games. Whatever Moores' critics might say, every team pores over vast amounts of data and studies their opponents. What remains to be seen is the effect of big data on cricket's evolution. Will the overall quality of the game improve? Will the coach emerge as match-manager and chief tactician? Will tomorrow's average cricketer be fitter, stronger, more skilful, more versatile than today's? Or, despite the best intentions of coaches, captains and players, will the data ensure that new types of tail-enders proliferate? Where will T20 cricket go next?